Bands > Dyecrest > Are You Not Entertained? Tracks on Are You Not Entertained? After 13 years it’s here – third DYECREST album “Are You Entertained?” is released via Inverse Records. 13 track album includes also previously released singles “First Born Angel”, opening track “Fading/Reaching” and “Red Alert” that features the Soilwork singer Björn ”Speed” Strid on guest vocals. Soilwork’s front man’s voice can be heard on total five tracks on the album as the band was in a desperate need of a singer while recording the new album. “We started to record the album with our original singer. On the recording phase however we noticed that the bit more aggressive parts didn’t work out the way we would have wanted.” the band comments. Then the band got a chance to get Björn from Soilwork and Elisa de Boer to sing the vocals to “Nuku vaan” -ballad. Then it took a while that band hooked up with singer Mikael Salo from Helsinki who was interested to try it out with DYECREST as a lead singer. “Mikael’s talent became clear to us really soon. 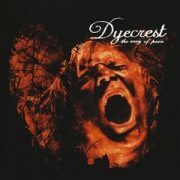 In future the band doesn’t need a guest vocalist just to get more aggressive approach on the vocals.” DYECREST members describe the new singer. Partially over 10 year ago composed album as been produced by Jussi Jauhiainen and recorded by Teemu Velin who both are also familiar working on the background team for Finnish metal act Stam1na. The album is mixed by Miitri Aaltonen and mastered by Mika Jussila at Finnvox studios. DYECREST is really proud of the whole production with this great team on their third album. Guest lead vocals by Björn “Speed” Strid, Elisa de Boer and Piet Sielck. Choirs sung by Piet Sielck and Jan Eckert at Powerhouse studios, Hamburg, Germany.